I am Doctor Bad. There is no medical advice on this site. Well, there is advice, but my advice to you about my advice is that it would be inadvisable to be advised by my advice. Really, there’s plenty of good medical information out there, plenty of good sites. This is not one of them. 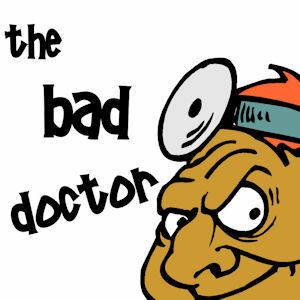 Doctor Bad is a pseudo-anonymous physician practicing near Atlanta, GA. This site is humor. Don’t like it? You go away now.